To Fit: Mercedes CLS 2011-2018. Enlarged ball socket diameter (22mm as opposed to 18mm of O.E Part). Reinforced, thicker link rod (10mm as opposed to 9mm). Significantly longer service life, thanks to reinforced design. Double the warranty of O.E part, this item has a four year warranty! Offered at a better price than the Original Equipment part! 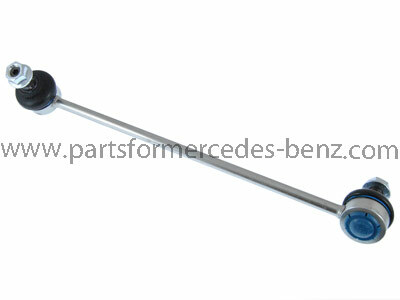 Equivalent Mercedes part number, A2123201289 (for reference only).